ML and I celebrated our 31st anniversary. 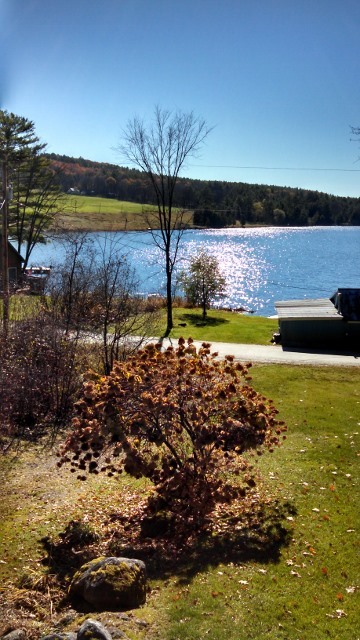 We went to our camp for a little R & R - Romance and Relaxation. Fall foliage was over up there. The leaves are down and the vernacular is "stick season". I gave ML some pen related items. 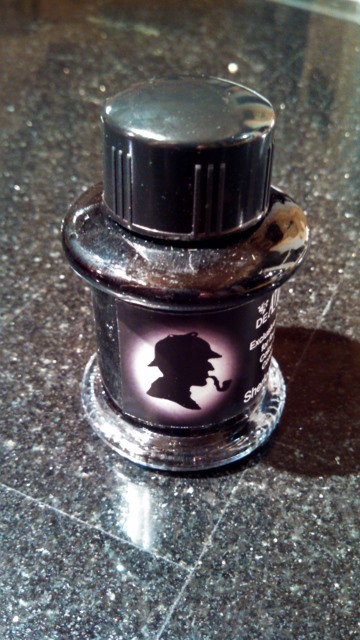 First up is DeAtramentis "Sherlock Holmes" ink. Lately ML has been into Mr Holmes spurred by the BBC "Sherlock" and CBS "Elementary" series. She started reading the A Conan Doyle originals. 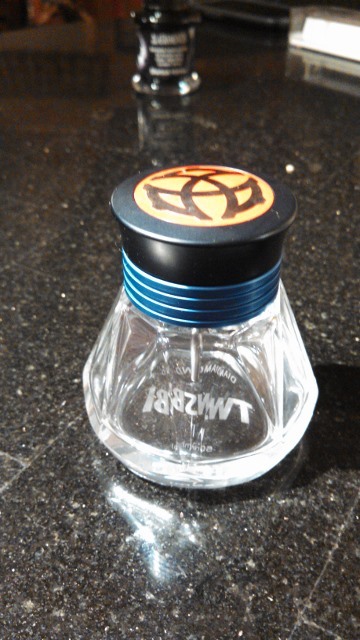 She loved the ink bottle. It is a blue black and a little dark for her tastes but that is okay. Next was something to put the ink in for her growing ink well collection. 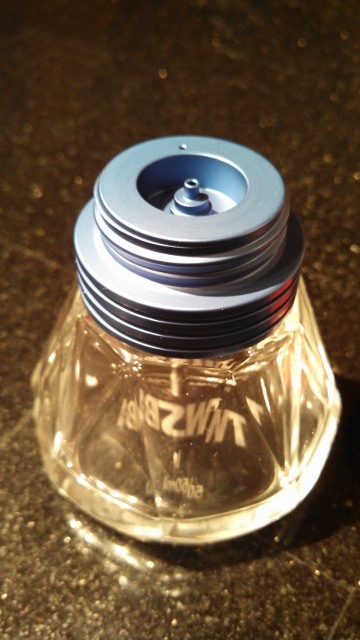 The TWSBI Diamond 50 inkwell. The sides are faceted and it is sharp looking. 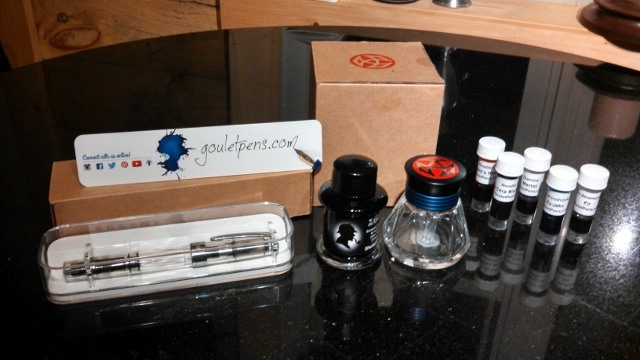 It is designed to work with the TWSBI 5XX and Mini pens. I gave ML a 580. 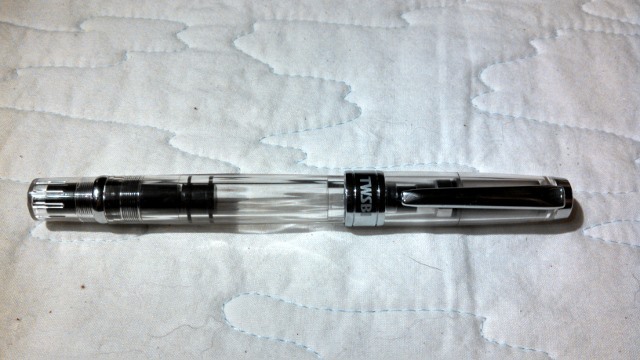 The front end of the pens detaches and you slide it onto the port. Then turn the back of the pen to draw ink into the body. It works like a charm. No muss, no fuss - just a full pen quick and easy. Goulet says any international converter will fit on the port. 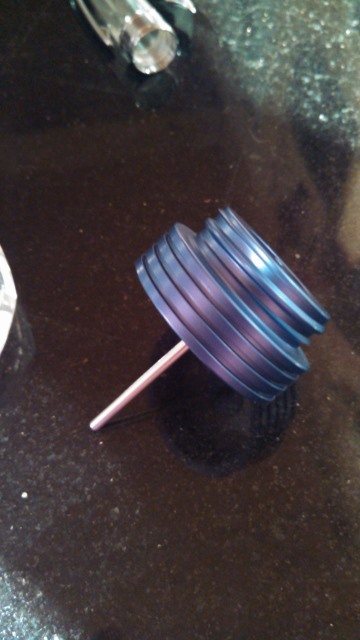 The inkwell also came with a little graduated adapter to make filling through the nib easier. and to Freddy who said filling a demonstrator is like getting a new pen. That's where ML got the idea she would like a demonstrator. Happy anniversary y'all! I love that inkwell. I've been tempted by them for awhile now as I love how clean and simple the filling is with them. Brilliant! Happy Anniversary Phil and Mary Lou. I have one of those TWSBI ink wells and they are brilliant. I use it for my J. Herbin Rouille d'Ancre ink. While I really like J. Herbin inks, their bottles are awful for trying to fill a fountain pen after the second or third time. 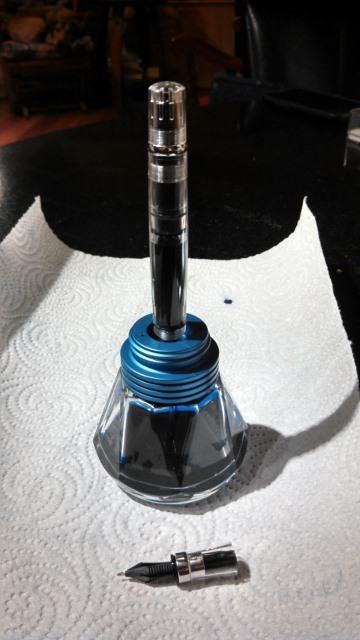 Transferring the ink into one of TWSBI's ink wells makes filling a pen a joy.